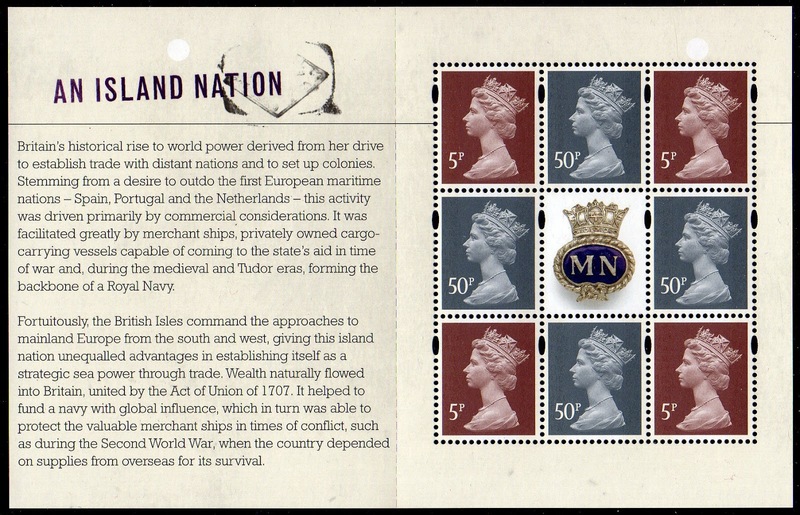 The subject of the Autumn Stampex issue on 19 September is the Merchant Navy, and consists of a set of 6 stamps, and a miniature sheet. We believe that there will also be a prestige stamp book, and would not be surprised to see a mixed retail booklet. 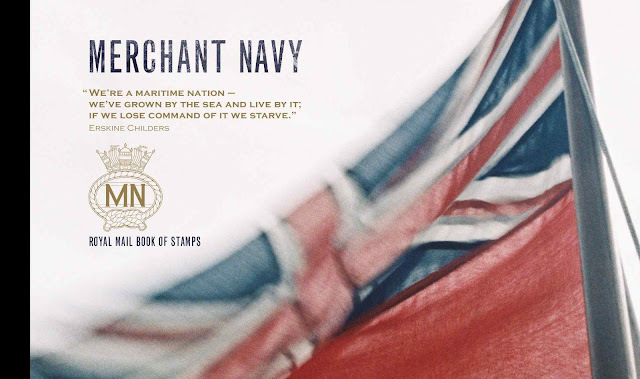 If you are a veteran or descendant of the Merchant Navy? Royal Mail want your help celebrate their 200th anniversary! Click here for more. 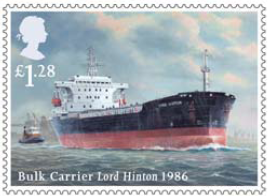 This stamp issue looks at 200 years of the British merchant fleet, from the age of sail to the modern bulk carrier and marks the contribution made by the Merchant service. 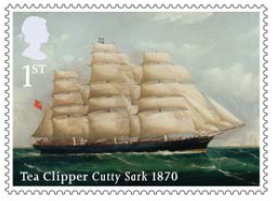 Some famous ships are included such as the Cutty Sark and the Queen Elizabeth. 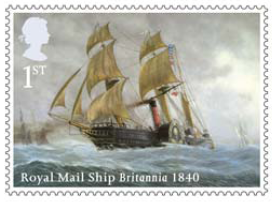 Also featured are Royal Mail Ships, including the renowned Britannia, propelled by both steam and sail, it famously made inaugural voyage for the Cunard line which had the contract to convey the mail. 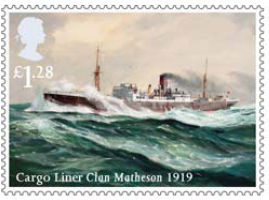 £1.28 - Cargo Liner Clan Matheson 1919; Royal Mail Ship Queen Elizabeth 1940; Bulk Carrier Lord Hinton 1986. The stamps will be printed in sheets of 30, being 2 pairs of se-tenant strips of 3 x 5 rows, and individual stamps can be ordered from Royal Mail in vertical strips of 5. Update 19 August. We have been told by Royal Mail each stamp is, in fact, printed in separate sheets. 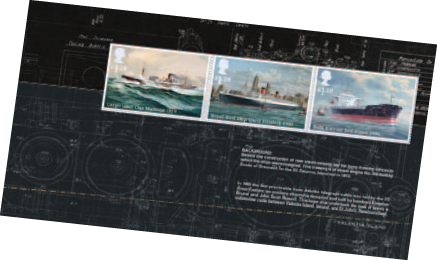 The miniature sheet, titled The Atlantic and Arctic Convoys, focuses on the Merchant Navy’s vital role and sacrifice during the Second World War, when military supplies, foodstuffs and people were transported in large convoys to avoid being sunk by the enemy. Four black-and-white photographs offer a look at the daily life at sea during this time. 2013 is Year of the Convoys – noting the year when the Battle of the Atlantic reached its height and the German U-boat menace began to be defeated. The mini sheet will be a tribute to the courage of the personnel of the convoys and the harsh conditions and terrifying risks they faced. The quote on the minisheet, from Winston Churchill, is a chilling reminder of these risks – The only thing ever that really frightened me during the war was the U Boat peril. - sailors clearing the decks of HMS King George V in Arctic waters. MS by Joh Enschede in lithograhy, 115 x 89 mm with stamps 41 x 30 mm. 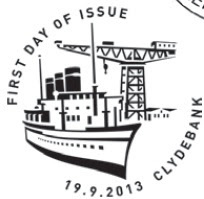 A prestige stamp book will be included in this issue. Click on the images to see much larger versions. 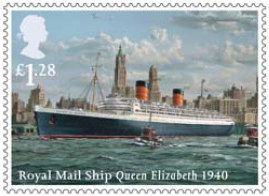 Panes 2 and 3 have 1st class and £1.28 Merchant Navy stamps - we believe pane 2 will have the 1st class stamps. As you can see Pane 4 has the miniature sheet stamps but with a new background which means that these stamps should be listed individually in the catalogues - and preprinted albums. In case anybody hadn't noticed, this is Royal Mail's 2013 Europa stamp, so the self-adhesive version will be a must-have for all collectors of Europa/CEPT stamps! There will be many special postmarks for this issue, the first will be added to our webpage soon. We can now show details of the retail booklet and the Machin pane in the prestige stamp book. The colours of the Post Van stamp in the retail book are quite different to those on the original MS. As is not uncommon, colour registration on the Walsall-printed booklet is also a bit hit-and-miss! 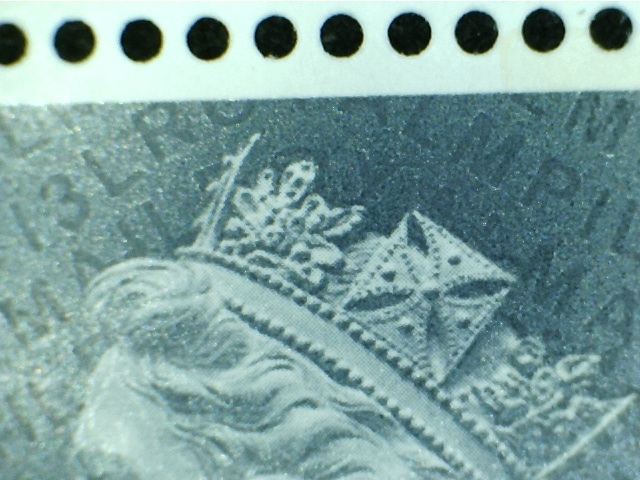 This is a scan of the actual Machin pane, but it shows the stamps darker than they are. 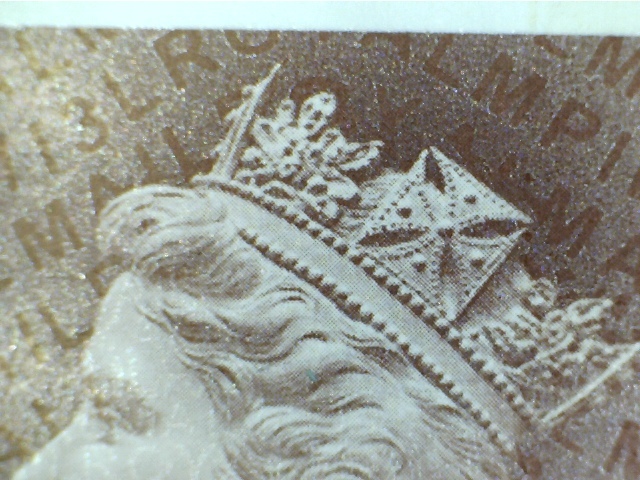 However, the elliptical perforations are at the upper end of the sides of the stamp, rather than the lower. This suggests that the perforating frame was set up inverted in error. But all the ones I have seen are the same, so I'm not expecting that this will be a scarce variety. "Enschede made a late perforating equipment change – they have two different machines. However, each feeds the sheets in different ways i.e. 180 degrees in opposition. They didn’t consider the impact of the change on the product anddidn’t identify the error during subsequent checking operations. The only ‘fortunate’ part is that all production was affected in this way rather than a small volume." Not more prestige books and retail books! These add on so much to the cost of collecting - and are happening far too often now. Each set is now costing a substantial amount to collect the variations. 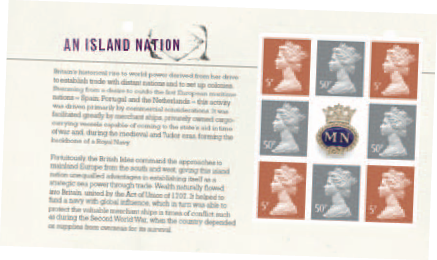 Retail booklets are sometimes the only time the general public - buying stamps from supermarkets and newsagents - get to see special stamps. But these details are not confirmed, just speculation. I used to see posters up in the post offices of upcoming nice stamp issues but I haven't seen these for a while except for Dr Who, I think the last one I saw was for the Album Covers. I don't think I have even seen a stamp calendar in the post office this year to pick up, instead using this lovely site for info. Not another Miniature Sheet cover, plus the Xmas set, that's 8 Miniature Sheet covers in 1 year. Usually they are limited to 6 per year, is it really necessary to have a miniature sheet cover for this set. RM have announced an extra Xmas set, with a set of Childrens Xmas stamps designed by children which will have its own first day cover along with the official xmas stamp set. I must admit the main 6 stamps of the Merchant Navy stamps are beautiful and should be left as a stand alone set, but the miniature sheet is hardly warranted. 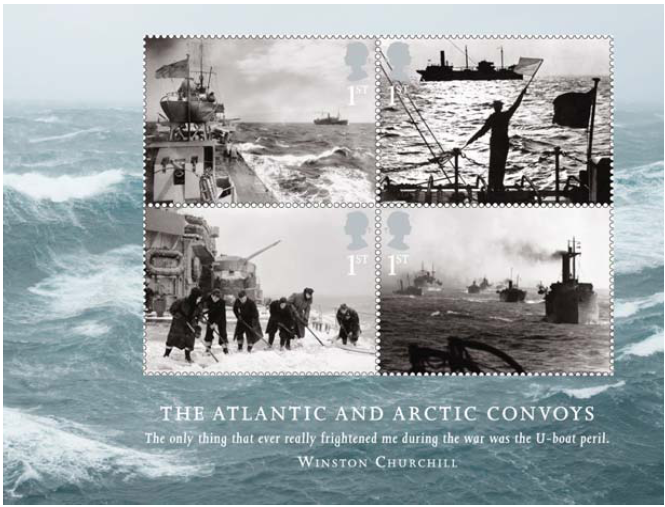 I suppose Royal Mail could have honoured the men of the Arctic Convoys with a set of 6 and that would have generated more complaints. It's only £2.40 - and nobody forces anybody to buy anything! I for one enjoy all the mini-sheets they produce as they are cheaper to buy than the main issue which I find ever more expensive!I wish they would issue more sheets! Come on, get the quote right! Clue- it's on the miniature sheet. It is worth checking, as the the quote often attributed to WSC in relation to the Arctic Convoys (that it was "the worst journey in the world") cannot be located. I don't mind miniature sheets, but it can be annoying to have to buy the whole sheet when your interest is in only one or two of the stamps. Will RM offer the option of purchasing single stamps from the sheets? No, miniature sheets are sold 'as is'. But being only 1st class stamps they are not expensive and you can always hold the spare ones over for Christmas (if you are in the UK). 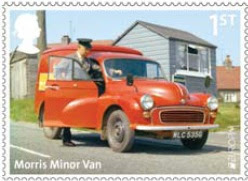 Didn't Royal Mail offer the option of buying single stamps from the Olympic Gold Medal Winner miniature sheets? If so, what's the difference here? The problem with 'Anonymous' posts is that I don't know whether you are the same person, or another one following up. But the answer to your question, as you already know, is Yes, they did. 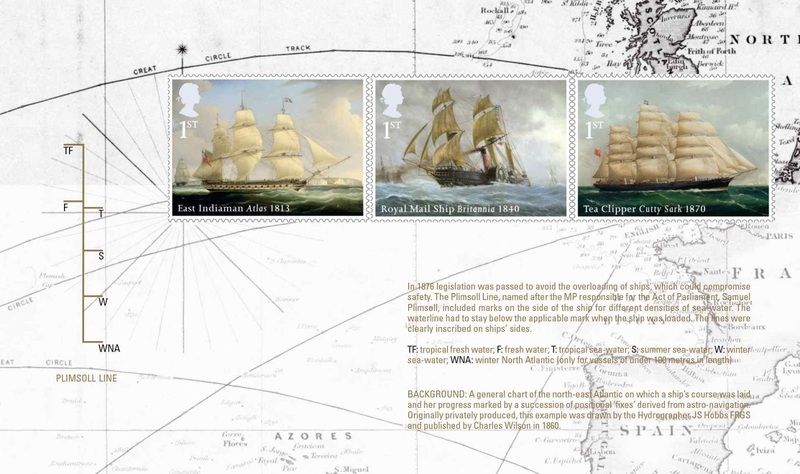 Until we get details we won't know for sure which stamps show Arctic and which Atlantic but I get you rpoint. 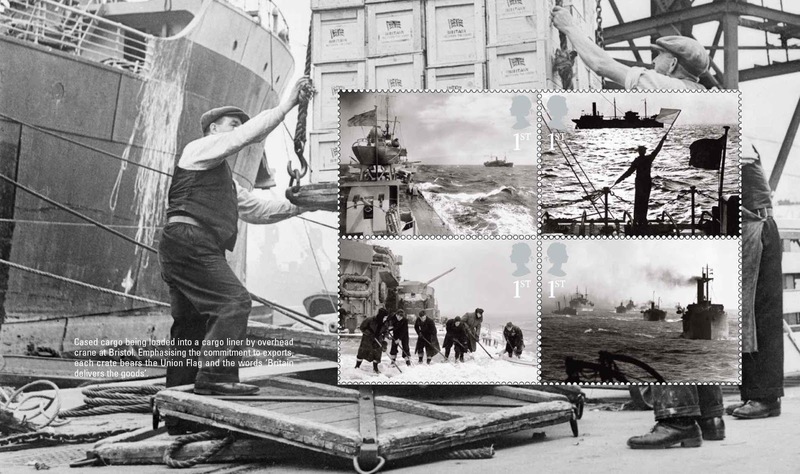 The bottom left stamp is a photo of sailors clearing the decks of snow on board HMS KING GEORGE V whilst she was in Arctic waters. The top right photo is a British sailor signalling a merchant ship as it passes the naval control base in the Thames estuary. Top left and bottom right I'm less sure about ... I would say Atlantic convoys, but unsure which (maybe one to Malta / North Africa?). The Country issued ration books so desperate was the time. Faced demise from U-boats, the bombers and the mines. And fuel to fly the spitfires fighting in the skies. To mariners who manned them and a way to say thank you. I think RM have missed a trick or two here! We have not yet had a smilers/generic sheet. Nor a set of mugs, tea towel, pin badge, model ships or pencil case. The number of issue variants is out of control. 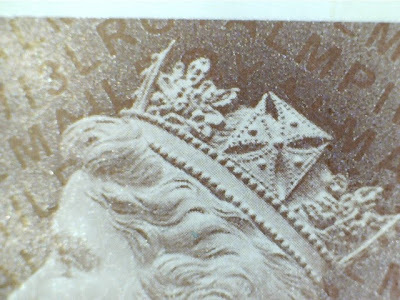 This is only one of the Stampex issues. new placement for machin ellips.? 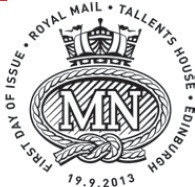 My opinion is that the Merchant Navy stamps are very nice. I may buy my first PSB ever. 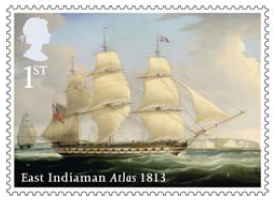 Why doesn't Royal Mail issue more stamps with lower face values, so that everyone can afford them? I may have to get a loan from my bank if I want to continue collecting GB stamps. 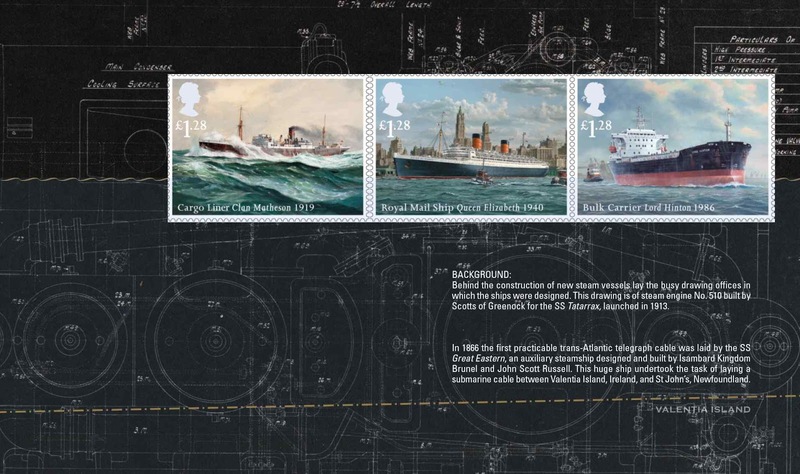 These are really wonderful stamps and although I have more ties with RAF than Naval, I think the choice of ships has been perfect. But then what do I know - female and once blond!! Hello again Sue. I understand your problem! 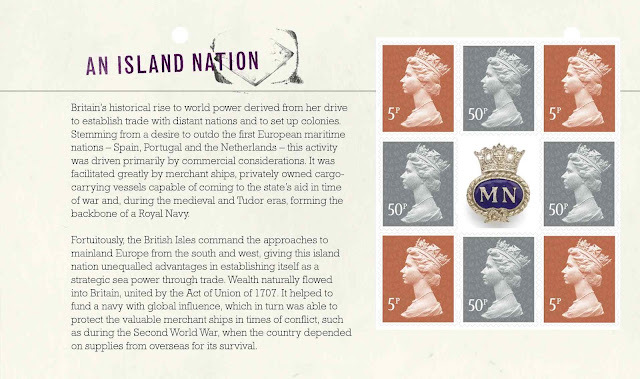 You can buy most of the stamps direct from Royal Mail (even via eBay) although there are many specialist items that they do not recognise, so dealers are the only option. I don't think RM will ever go to printing stamps purely in sheets of 10 as so many countries have - Germany, for example is another. But I don't think you can mark several hundred years of Merchant Naval history with just one stamp. Maybe they should have marked just the Convoys (this year has been designated Year of the Convoy) and left the rest of the Merchant Navy for another time, but even the 1969 set had 6 stamps in! iIt was nice see these stamp brought, back memories of my dad and uncle, it must be said, it was not only north and south atlantic but the russian conveys,mediterranean and indian oceans. Told by the ones who had done these dangerous runs.